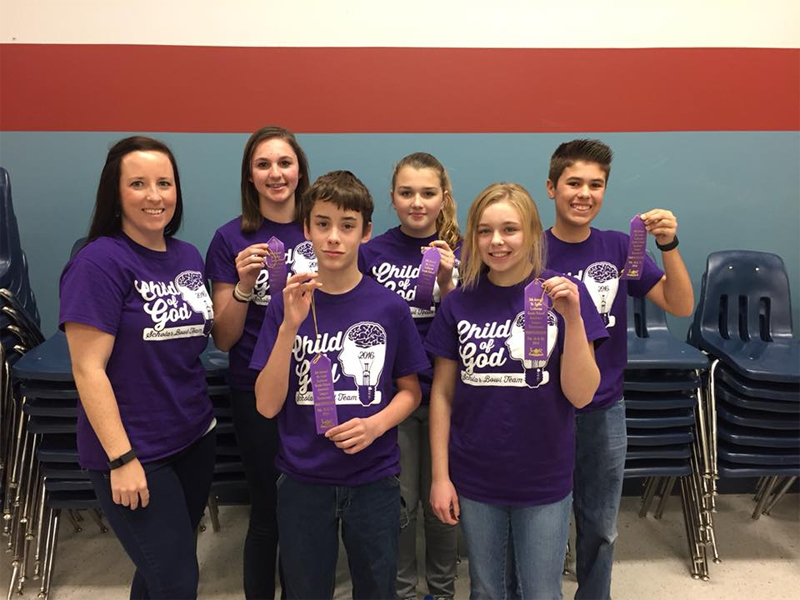 The curriculum of Child of God complies with or exceeds the standards established by the Department of Elementary and Secondary Education of the State of Missouri. Christian principles and teachings are integrated throughout the curriculum in order to prepare children to live as strong Christians within the world. Areas of learning include: religion, language arts, science, mathematics, social science, fine arts, physical education, health, and technology. 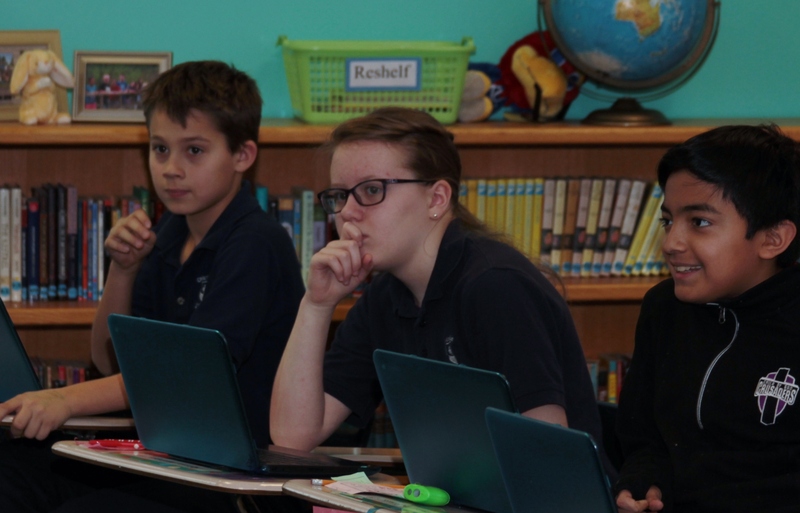 Each grade level has a curriculum, which has been written based upon Biblical principles, Integrating the Faith, current educational resources, and standards established by the state of Missouri. A copy of the school curricula is available in the office. An overview of each grade level curriculum can be viewed by clicking resources, choosing classroom brochures and selecting the grade level of interest. With only one class per grade and a cap of 20 students, every student and family is known to us! Not only are the students known by name by their classroom teacher, but also by the other elementary teachers, office staff, Pastor, principal, cafeteria manager, librarians, etc. We have the whole “village” raising up your child. Pre-School 2 – Students can join us as soon as they reach their 2nd birthday. They do not need to be toilet trained. Pre-School 3 – Two to five full day enrollment options for students who are 3-years-old by August 1 and potty trained. Pre-Kindergarten – Three to five full day enrollment options for students who are 4-years-old by August 1. Kindergarten – Full Day for students who are 5-years-old by August 1. Grades 1-8 – Full Day and proof of the successful completion of the previous grade level.